Our Patrons Have Done it Again! Fantastic news! 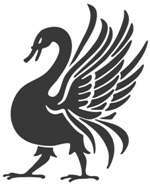 Raging Swan Press’s patrons have done it again! Yesterday morning I woke up to discover Raging Swan Press’s Patreon campaign had hit its next milestone, while I slumbered. We’ve been on the cusp of achieving this one for quite some time, but never seemed to stagger over the target. Well now we have, and I’m delighted to announce we can now pay our artists and cartographers $60 a half-page. That makes me jolly happy! Even better than that, our success brings the next milestone into sight. 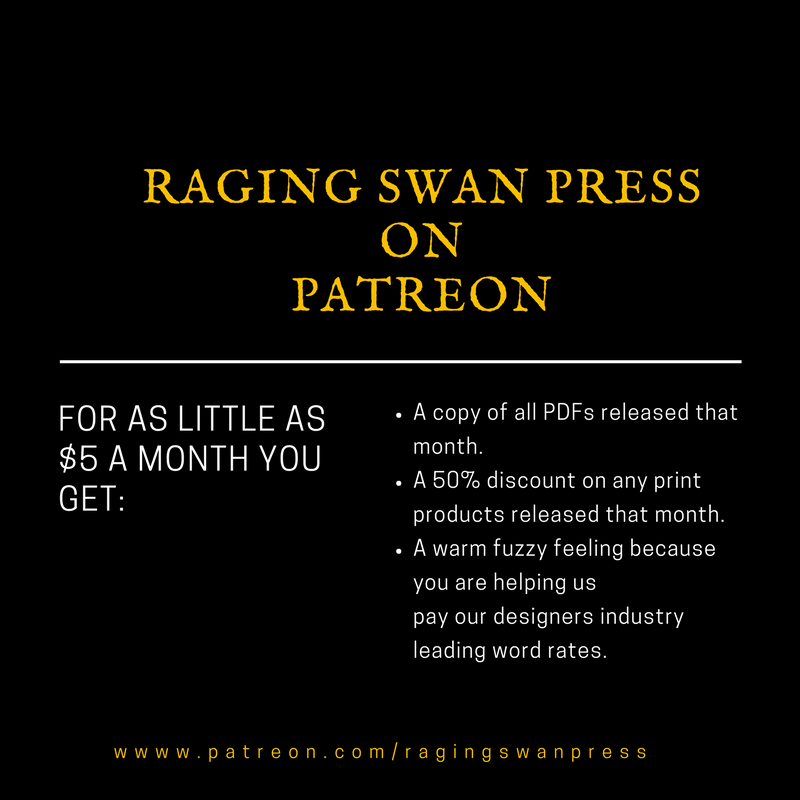 When we get to $1,000 Raging Swan Press will start putting out its own podcast! I’ve wanted to get into podcasting for quite some time, but never seemed to have the time. I listen to a lot of podcasts when running or walking the dog and I think it’s a great way of reaching more with GM hints, tips and advice. With our patrons support, I can gather the equipment and hire the people to make the podcast as good as it can be. 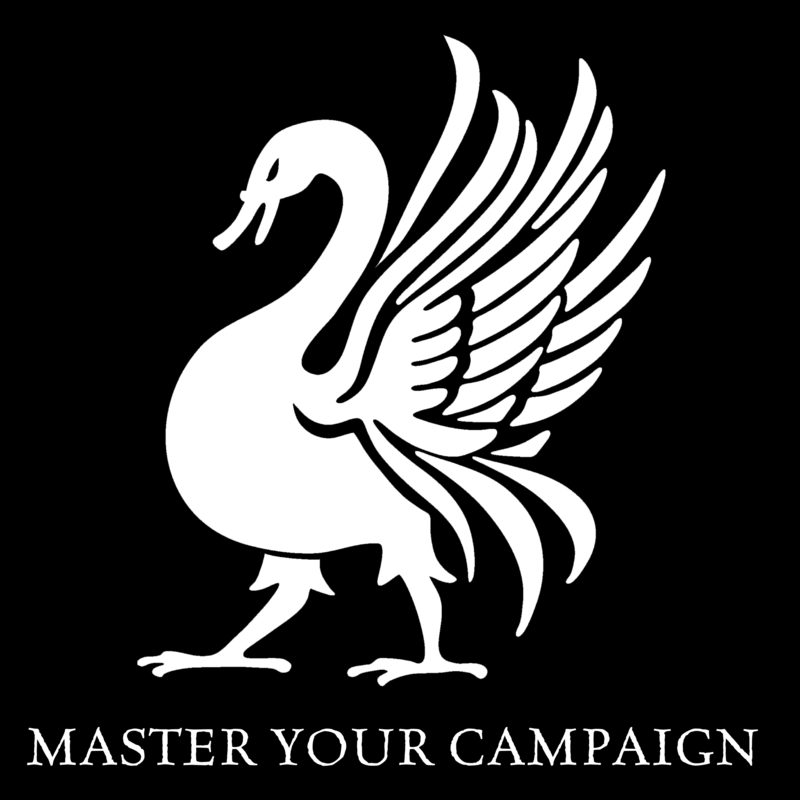 My plan is to focus on system neutral GM advice to help the listeners build better campaigns and to have more fun. So, if you want to see the Raging Swan Press podcast stagger into the full light of day, please consider signing up to our Patreon campaign. I for one would love to hear a podcast. I very much appreciate your approach to GMing so would find that a great listen. I’m pleased to be be a Patreon member! Thank you Gareth! I’m delighted you are part of our Patreon and I’m looking forward to getting the podcast off the ground immensely!